A San Antonio woman is sharing the story of her tragic motor vehicle collision in an effort to draw attention to the problem of drowsy driving. Her husband was killed in the collision in 2009, and she had her legs, pelvis, ribs, elbow and facial bones broken. 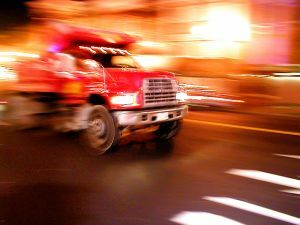 The accident happened when a drowsy driver hit the couple’s vehicle, causing it to roll over multiple times. She wants motorists to know that fatigued driving is just as dangerous as drunk driving and hopes that going public will make motorists think twice about driving while they are too tired. In some ways, drowsy driving is actually more dangerous than drunk driving because it is harder to prevent. There’s no current test for drowsy driving, although this may change in the future. Until a test is developed, victims will need to rely on witness statements and expert testimony to prove fatigue caused their crash injuries. A personal injury lawyer in San Antonio can help victims to pursue claims for compensation against fatigued drivers. Call the Herrera Law Firm for a confidential legal consultation. A Cooperative Research Centre (CRC) was recently launched at Monash University in Australia, and it is the first ever consortium dedicated to studying sleep disruption. The CRC is an allegiance of academics, regulators, technology companies and employers who are all joining together to develop new technologies to reduce drowsy driving risks. The Centre will be focused on multiple goals, including finding ways to better identify people at risk of insomnia, sleep apnea and other disorders that make rest difficult. Current diagnostic tools for sleep disorders are limited, and it can be difficult for people to get treatment to avoid excess fatigue. If people are properly diagnosed and their conditions managed, they are less likely to doze off while driving. CRC hopes to save the healthcare system $2 billion in costs associated with fatigue-related injuries and to deliver $196.4 million in public health benefits over the course of 15 years. Helping people get enough sleep could reduce the rate of drowsy driving crashes and be an important step in this effort. However, one of the most important projects that CRC is undertaking involves developing a test for drowsy driving. Researchers believe a device could be created that will test a person’s sweat or saliva for newly-discovered biomarkers of alertness. The test will serve as a real-time, accurate assessment of whether the person is alert. The test is being proposed as a means of helping employers, who can test workers for alertness before the employees are allowed to operate machinery. However, it also has an important application in car accident cases. A driver who causes a crash could be tested to see if he was sufficiently alert. If the alertness biomarkers show he wasn’t, this could be used as evidence in holding him legally liable for the collision. A personal injury lawyer in San Antonio can help collision victims. Call the Herrera Law Firm at 1-800-455-1054 or visit www.herreralaw.com to schedule a free consultation.